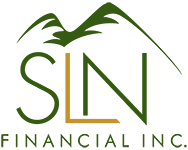 Clear Tax Benefits of a Health Savings Account (HSA) | SLN Financial, Inc.
1. Tax-deductible contributions. All money you set aside for your HSA from your paycheck goes into your HSA account without the financial burden of paying taxes. 2. Interest is earned tax-free. Don’t worry about paying any taxes on the interest you’ve earned in your HSA like you would in other saving vehicles – interest is never taxed. What other tax benefits can you implement to better your financial situation? Give us a call and we can help you achieve reduced taxes. This information within this document is for informational purposes only and does not constitute legal or tax advice. One should consult a legal or tax professional regarding their own unique situation.